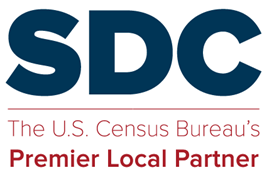 Here is a letter from the steering committee, discussing our continuing partnership with Census Bureau and the 2018 SDC Annual Training Conference. The letter was sent October 23, 2017. This entry was posted in Sharing, Steering Committee and tagged Annual meeting. Followup: At this time, we are tentatively planning for the SDC annual training conference. However, the conference is not yet officially approved and budgeted. Ron Jarmin, the acting director, did reply to the October 23 letter concerning the SDC annual training conference. In his reply (Ron Jarmin letter, January 3, 2018), he recognizes the importance of our partnership and the value of the conference in maintaining the partnership.